Cheltenham should be THE destination for food fanatics everywhere, with our matchless blend of High Street and Street Food, independent and award-winning. Topping the bill is of course the Michelin Star restaurant ‘Le Champignon Sauvage’ found in The Suffolks, offering an ever-changing, premier menu for the discerning diner. Harden’s, The Good Food Guide and The Michelin Guide lavish praise on innumerable Cheltenham restaurants; from The White Spoon, led by former Fat Duck protégée Chris White offering seasonal-produce-led food, or “Japanese Grazing” no-sushi restaurant launched by Andrew Kojima, former Masterchef Finalist. Our ambrosia is completed by independents including Lumiere (French), L’Artisan (French), Purslane (fish), KIBOUSushi (Japanese), the restaurant at Ellenborough Park (British), Prithvi - award-winning Indian voted by TripAdvisor travellers as the sixth best restaurant in the country, The Curry Corner described by Gordon Ramsay as “exquisite flavours better than in India” (Indian) and many more. They have this year been joined by the notable Ivy Brasserie, which has lovingly restored the Rotunda building at the top of Montpellier and already offers a buzzing atmosphere. Not to be outdone, Cheltenham is also home to a number of notable food experiences which are perfect on-the-go, or with a smaller budget. Falafel King made the perfect pit stop for Bill Bailey while in town, Paparritos offer a noteworthy burrito, The County Kitchen produce excellent British grub, and Bar & Wok noodle bar has been a firm local favourite for over a decade. The Coconut Tree is a short walk from the Town Centre and offers Sri Lanken style street food with small dishes that delight, while local, artisan chains such as The Ox (Steakhouse) and Fat Toni’s (pizza) offer niche done well. No food guide can be complete without afternoon tea, and Huffkins, The Napier and Memsahib Gin & Tea Bar are all highly acclaimed. Nor should we overlook the plethora of bars and pubs in the Town, from the likes of the Sandford Park Alehouse (CAMRA National Pub of the Year 2016) with its extensive craft ale range, to Wild Beer, the first bar outlet for this micro-brewery. Independent restaurants line almost every street, most using fresh, locally sourced ingredients, and there are also a wide selection of well known branded food outlets, family favourites and new restaurants with awards to their name. Cheltenham is fortunate enough to be able to offer many al fresco dining experiences, allowing you to sample the continental atmosphere on offer, from the cafes on the Promenade to the restaurants and bistros in the districts of Montpellier and more modern Brewery Quarter. Many cafes and venues also provide evening entertainment on a regular basis, with local and well-known musicians performing, especially at weekends. 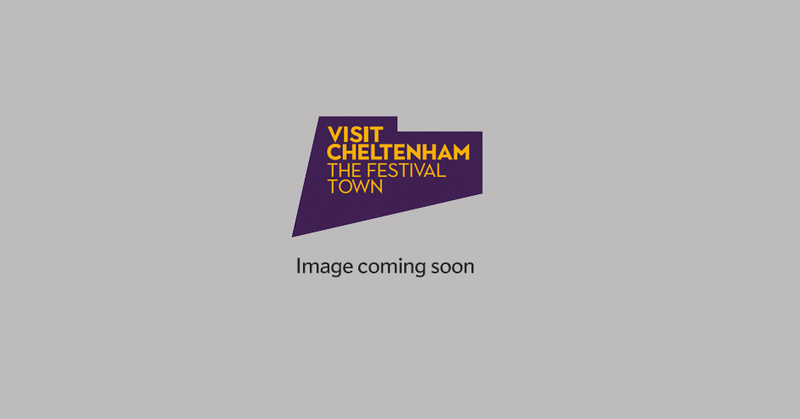 Not only is there a huge list of establishments to choose from, but there are literally dozens of food and drink related festivals happening in Cheltenham throughout the year, which include the annual Food and Drink Festival in Montpellier, Cheltenham Beer Week, Cheltenham Chilli Week, Cheltenham Cocktail Week 2018 and the Cheltenham Festivals series, with the Jazz, Literature, Music and Science festival all hosting a superb selection of pop-up tasty eats and tipples. The Science Festival actually looks at the science of whiskey (and yes, you can sample!). Cheltenham also has a fascinating brewery history and at certain times of the year Microbrewery tours and beery walking tours are on offer. Cheltenham Foodie Tours take place every Saturday throughout the year, starting at the Tourist Information Centre in Clarence Street, and including a visit to an award winning Cotswold bakery, speciality cheese shop, 1920's cocktail lounge and a taster of artisan chocolate and delicious artisan ice cream. Come and enjoy a night of Jazz in our Stage Room with The Honeybees!